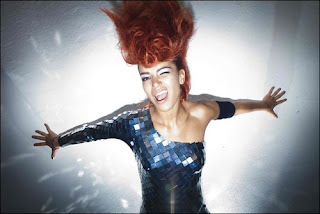 If you're a true pop fan you might remember the fun single Silly Boy - it was the debut single from Amsterdam based Eva Simons. This track gave her a macchiato of success but for her new single I Don't Like You she's going for the whole grande mocha! This is one very fresh track - dance attitude with power vocals this song is sure to be a smash hit around the world. Eva's just released the video for I Don't Like You and it's just as cool as the track. Expect to see and hear a lot of Eva Simons..!